The Capital Circus of Budapest is a circus building located in Budapest, Hungary. It originally opened in 1889, although it has changed locations since then. Its current building opened in 1971 and is the only stone circus in Central Europe. 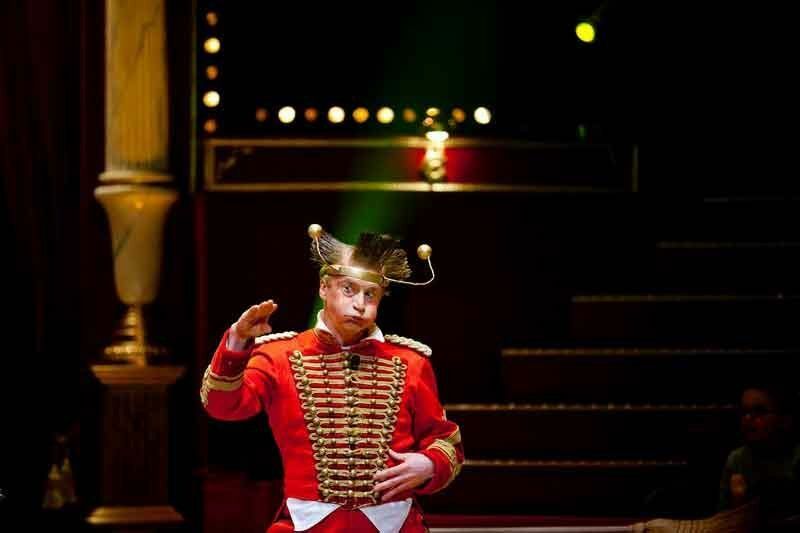 It seats 1450 people, and features animal, clown, and artistic performing acts. The building is in City Park (Városliget), near by are the Budapest Zoo, Vajdahunyad Castle and the Széchenyi Thermal Bath. Since it is a stone circus, its operation is independent from weather, and therefore it is opened both in summer and winter. The Phoenix, this unique mythical creature is born from fire, which captured the imagination of many mortals during the history. The year 2019 starts with a fiery, mystical circus show full of acrobatics, illusions and exotic animals in the Capital Circus of Budapest, directed by the Rippel Brothers – Ferenc Rippel and Viktor Rippel. During the last years ice and water covered the circus floor, now it will be wrapped in fire. The origin, power and importance of fire will come to life in the circus floor with the spectacular productions of the world-famous Hungarian artists, who will summon the different shapes of this prime element with the magical language of circus art. Explore the largest circus of the region and take part in the year-long celebrations of 250 years of European Circus heritage through these exclusive performances at the Capital Circus of Budapest, right next to the City Park! Feel like a celebrity and order the I love Circus Budapest package! After the booking you will receive a booking confirmation email which contains your reservation number. Without the reservation number you can not enter the Circus. Please at the booking add your email address as well. The organizer reserves the right to change the program. H - 1146 Budapest Állatkerti krt. 12/a.